Just get away! has the potential of being the most enticing and potentially out-of-reach phrase ever coined. From travel commercials to Go-Go’s songs, getting out of here (wherever here may be) sticks in the average person’s head as a tantalizing idea — only to be grabbed after we’ve paid the electrical bill. Eh, we think as we pass the billboard advertising cheap flights to Cancun, maybe next year. But by the time next year/month/week rolls around, we’ve given up on even the thought of getting away. If Thursday is the new Friday, why don’t we take advantage of it? Honestly — if we set aside our well-thought-out budget and our obligations, what’s actually preventing us from running off to somewhere where nobody knows our names or somewhere we can see the ocean? 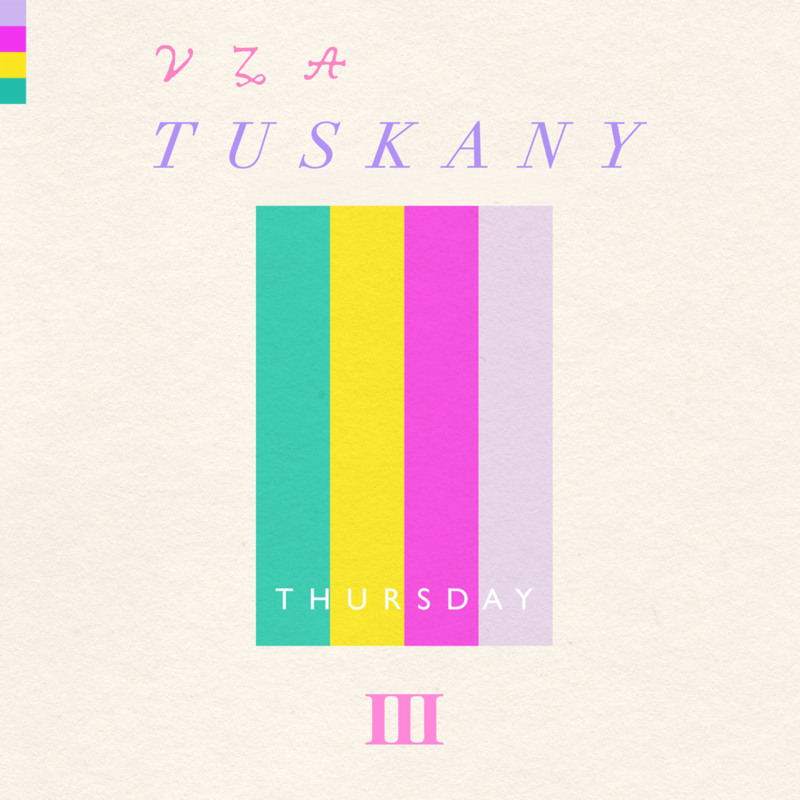 With “Thursday,” Tuskany boldly confronts our desk-job daydreams and challenges us to make them a reality. Like a more polite, more refined, and synth-laden version of the sentiment behind Shia LaBeouf telling us to “just do it,” Tuskany proposes that we leave the stagnant day-to-day routine behind for awhile. We’ll all be better off for it.